After a couple years of the seeing battle royale games release in unfinished states, Respawn’s confident spin on gaming’s most popular trend has completely reinvigorated my enthusiasm for the genre. 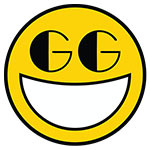 It’ll need consistent support and long term updates to stay exciting, but Apex Legends is one hell of an opening salvo. Free, friendly, and consistently fun, it’s the best battle royale game available today. Apex Legends makes squad-based battle royale work better than thought possible, even when playing with a randomly matched team. Its intuitive communication system makes strategic teamplay achievable without a word, and the eight unique legends each have cool abilities that are rewarding without feeling like restrictive roles. 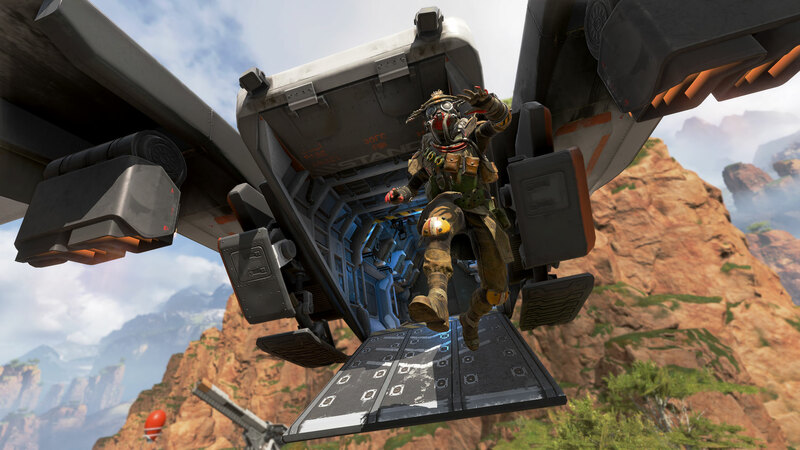 Apex Legends is a mix of smart shooter ideas that makes for a competitive, team-based game that gets at all the best parts of battle royale while addressing a lot of the weaknesses. Respawn's intense focus on team play makes Apex more than just a worthy addition to the genre; it's an indicator of where battle royale should go in the future. The veterans of Titanfall games will have a hard time getting used to the lack of Titans, wall run and double jump, but both the design and gameplay would be enough to compensate for that loss. All in all, we predict a bright future for this game, and the first numbers are indicators of the upcoming success. 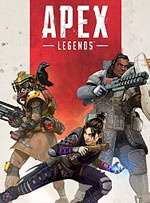 Overall, Apex Legends is a free game and it is a pretty fast-paced game for a battle royale. Anyone who has played PUBG or Fortnite can respect what Respawn has done here. They took a genre and added their own Titanfall twists to the game and have something that is genuinely fun to play. You can literally earn everything in the game or spend a little cash to get the things you want. For a game that had literally zero marketing, it has taken the player base by storm. 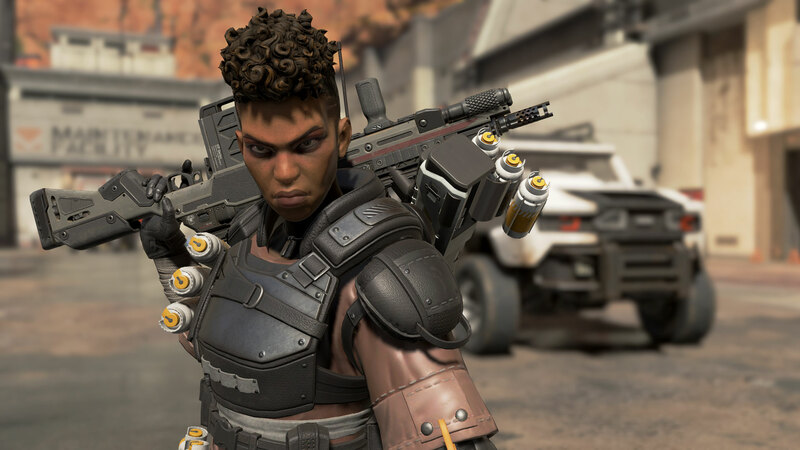 Apex Legends has raised the bar for battle royale games. It minimizes downtime, places an emphasis on intense gunfights, and replaces nameless characters with a memorable bunch of heroes. Though there aren’t any dance emotes and you can’t transform into a skyscraper during the middle of a shootout a la Fortnite, it instead offers something for those who have yet to be truly caught by the BR bug. A great addition to a genre that most don’t even bother developing for anymore in the shadow of the titans, defying that trend and standing out as a serious competitor. Great mechanics built with an already well-received engine make the game genuinely fun to play, and the variety of small additions really add up to make it feel like a whole game, which others of the same genre struggle with. It’s still a battle royale game, so it won’t be for everyone, and there are a few concerns with balancing and new content, particularly for the future. But seeing as how it’s free you have no excuse not to download it and give it a go. That said, we wouldn't rate any other battle royale game higher either, and between Apex Legends, Fortnite, and Blackout the genre is in great shape (and that's not forgetting PUBG and the myriad of other options that keep popping up). With one of this trio part of the most successful shooter series on the planet, and the other two completely free-to-play, it's no wonder that so many other promising battle royale shooters are struggling to keep up. 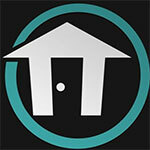 Hacía falta que alguien diera el siguiente paso dentro del género battle royale, y es justo lo que han logrado hacer desde Respawn Entertainment. Apex Legends logra implantar su propia identidad con una acción más ágil y vertical, y llena de innovaciones y mejoras para todas las convenciones del género: equipo, comunicación, navegación, mapa... Tal vez no fuera el paso más lógico para la serie Titanfall, pero definitivamente Apex Legends ha llegado para quedarse. 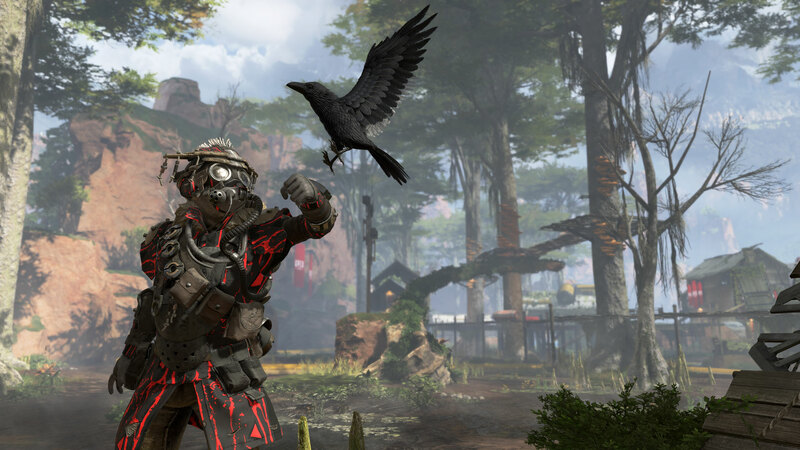 Aún quedan algunos interrogantes de cara al futuro, como el Pase de Batalla o el contenido que Respawn y EA vayan agregando al título, factores clave para mantener su éxito a medio y largo plazo pero, de momento, Apex Legends nos parece la gran sorpresa en lo que llevamos de año, y no sólo uno de los mejores Battle Royale de los últimos tiempos, sino también uno de los mejores títulos multijugador de esta generación… y gratuito. Auch bei den Helden-Klassen, der knackigen Steuerung und der Kulisse macht sich die Erfahrung der Titanfall-Entwickler bemerkbar. Auf Dauer kann es allerdings etwas monoton werden, da der Überlebenskampf nur einen Modus, keine Fahrzeuge und keine dynamische Zerstörung zu bieten hat. Trotzdem sorgt die spielerisch clever designte Karte immer wieder für richtig gute Unterhaltung. Même s'il n'est pas le dernier opus attendu de Titanfall, Apex Legends a tout pour être un battle royale à succès. À côté du mastodonte Fortnite, il peut se faire sa place grâce à un gameplay original, inspiré d'autres genres comme le FPS et le MOBA. Il nous immerge dans une arène de combat pour divertir les foules, avec un univers futuriste qui a de la matière. Dire qu’Apex Legends nous a étonné serait un euphémisme. Gratuit, coloré, nerveux, fluide, tactique, les qualités ne manquent pas pour cet improbable mais si légitime mélange entre héro-shooter et battle royale. 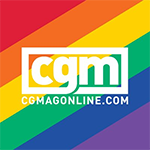 Certes, l’adrénaline n’est plus la même que lors de nos premières parties sur le genre, mais les innovations de game design et le teamplay réhaussé font d’Apex Legends un titre étonnamment juste et justifié, comme si le Battle Royale venait avec lui de franchir une étape supplémentaire, anoblissant son gameplay pour le rendre à la fois plus profond tout en étant moins frustrant à bien des égards. La versione PC si conferma la migliore del lotto, in grado di reggere risoluzioni superiori mettendo in campo un'effettistica generalmente più sofisticata rispetto alle console, ma consentendo al contempo di scalare l'esperienza per le configurazioni meno spinte. Verder zijn de speelbare karakters met unieke skills een fijne nieuwe toevoeging die meer variatie geeft in characterbuilding. Jammer is wel dat ook bij deze battle royale game de microtransacties aanwezig zijn, alleen kunnen we gerust zijn aangezien de loot alleen cosmetisch is. 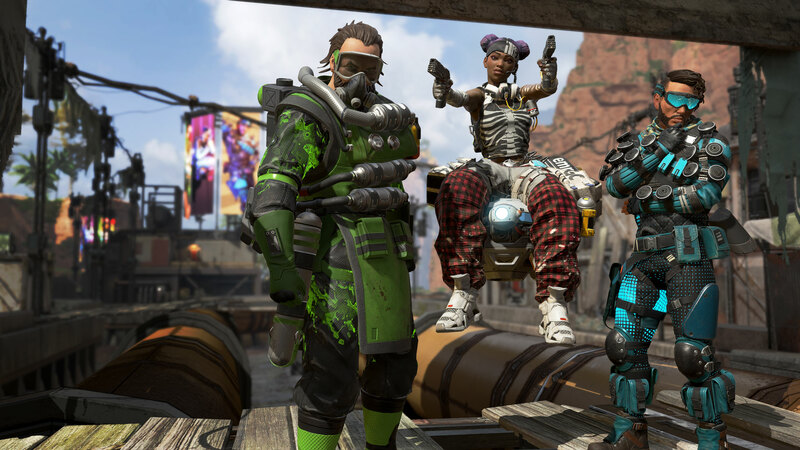 Apex Legends voegt veel fijne features samen die in verschillende games al voorkomen. 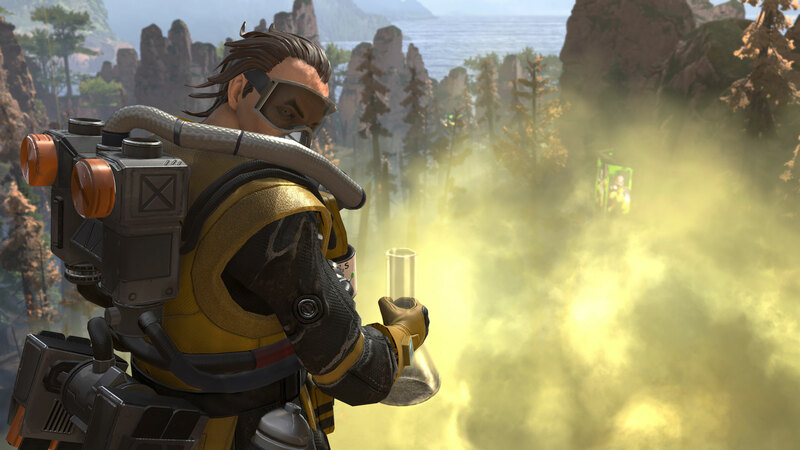 Een goede balans tussen mooie graphics en goede features maakt Apex Legends een zeer goede toevoeging aan het battle royale genre.